Deep learning is the most interesting and powerful machine learning technique. It is the root of the most enthralling and amazing features that we access today which covers a wide range of areas like robots, image recognition, NLP and artificial intelligence, text classification, text-to-speech and many more. It is also the technology behind widely used features provided by Facebook i.e. tagging each other in pictures or be Google's self-driving cars or speech recognition. Python is considered to be the most popular and fast-growing language for deep learning. It is also fully featured general purpose programming language with famous deep learning libraries like Theano and TensorFlow. 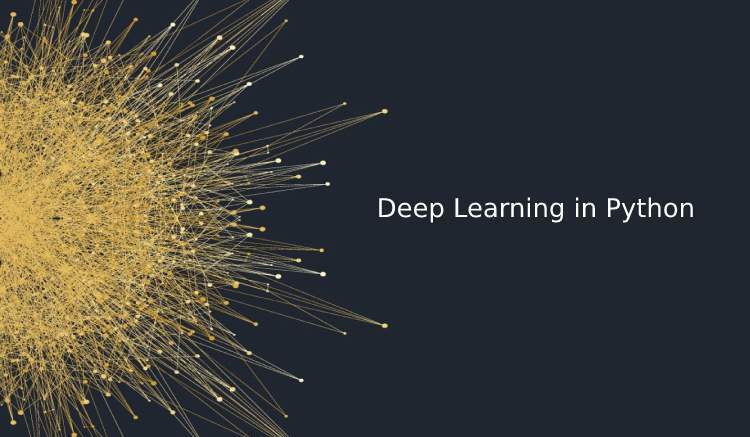 This is a free course that will lead you from your first step to the entire description and core knowledge about Deep Learning. The online course is instructed by one of the most popular ML instructor- Andrew Ng which comprises of 98 videos in total and intended as a 4-week course. This course starts from the basic description of DL and Neural Networks, Supervised and binary classification, derivatives, activation function,backpropagation, neural network, regularization, RMSprop, tuning process, training and testing, through Python code in a Jupyter notebook. The course provides us with a descriptive insight into Deep Learning. It is a series of 11 videos published by ‘The SemiColon‘, a Youtube Channel. It explains about Deep Learning Models and completes implementation through Keras Library of Python for Chatbot along with Theano as Backend. The series covers about basic deep neural Networks, Activation Functions, CNN, Word Embeddings, Recurrent Neural Networks, LSTM, Chatbot through Word2vec and LSTM. It is a set of 15 videos published by channel Machine Learning TV through Theano and Keras for image captioning. It gives brief insight for reusing pre-trained model along with creating a recurrent layer in theano and keras. It also shows you how to instruct your first deep neural net for digit classification. The Tutorial video has been published by edureka which focuses on understanding on important basics of TensorFlow and data structures. TensorFlow is basically an open source software library which is used for numerical computation through data flow graphs. It also provides us with an insight into graph visualization and understanding that helps to differentiate between a rock and a mine through use-case Naval Mine Identifier. This is a series of 11 videos explained by Sung Kim about Deep Learning through Pytorch. It explains about Linear model and Gradient descent along with a descriptive study on CNN which includes both basic and advanced concepts. Well, there is no doubt that soon Deep learning will have its own place and will reach a level of sophistication that will change the world and empower everything to make this world more convenient.